Does anything fit better in your hands than a CZ82? Lets see your Czech pistols and start this section off right. 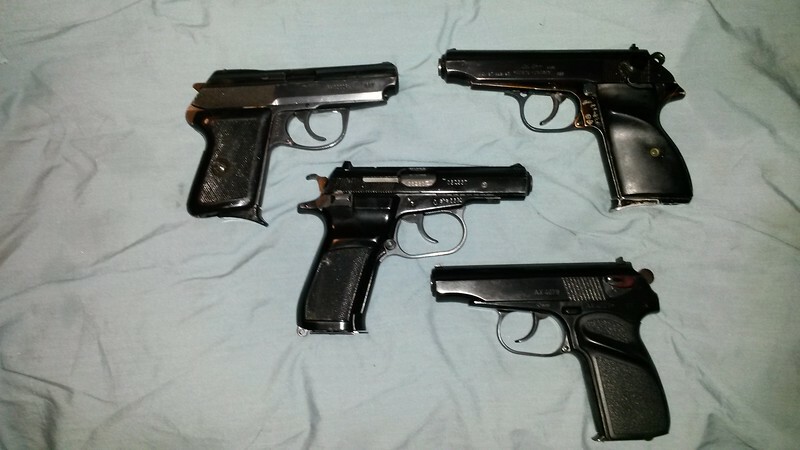 Here's my Czech pistols. A 1953 (Numbers matching) CZ-52 (Have the holster dated 53, 2 magazines, cleaning rod and a manual for it) and a 1991 CZ-83 (Non-import marked) which I still have the original purchase receipt, AE Form 190-6A (Firearms Retention Authorization), AE Form 190-6C-R (Notification Of Firearm(s) Purchase), Engineering Inspection slip from CZ, the test target from CZ, and the ATF From 6 (Application And Permit For Importation Of Fireams, Ammunition And Implements Of War), along with the original box and tool. 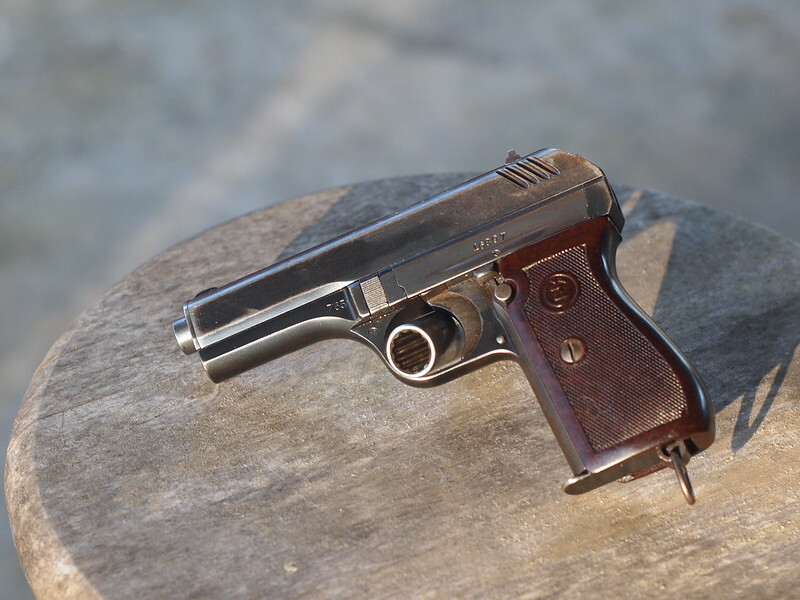 Purchased the gun 31 March 1992 when stationed at Rhein Main AB, Germany. Still have both the original 13-round magazines that it came with. 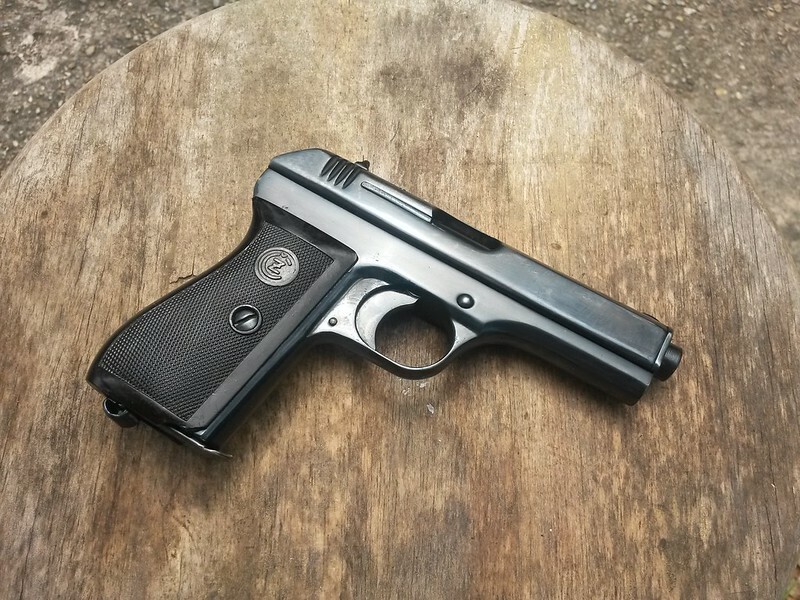 I have another non-import marked 1991 CZ-83 that I bought at the same time in Germany, but my FIL borrowed it several years ago and says we can get it back when he dies. He sent me a picture of it for my gun book, it's the one with the trigger lock. I changed the stock rubber grips for the CZ aggressive checker thin grips, and also changed out the stock 18lb mainspring for a 13lb spring, and then clipped 2 coils from that spring. Pull weights are now DA: 5.25lbs, SA: 2.75lbs. Here are mine.I've since sold the CZ75 Compact .40 . The CZ 82 and the CZ27 are still with me. Like the OP said, the 82 fits like it was made for me. 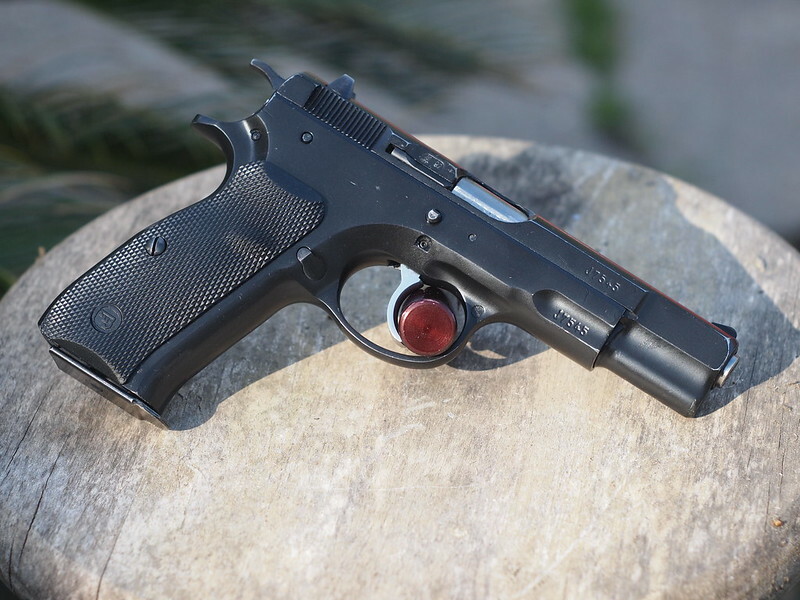 The CZ27 is a late 1944 production fnh code. I'm wanting to add a CZ82 to my collection. The ones I am finding locally so far are dogs, it is like people bought them and don't want to let the nice ones go. To be fair, mine has quite a bit of holster wear; The finish was black paint. I'm going to have it Cerrakoted in the near future. Other than cosmetics it's a stellar gun. Some nice looking eye candy here. ^^ That's a pretty impressive group of CZ's. 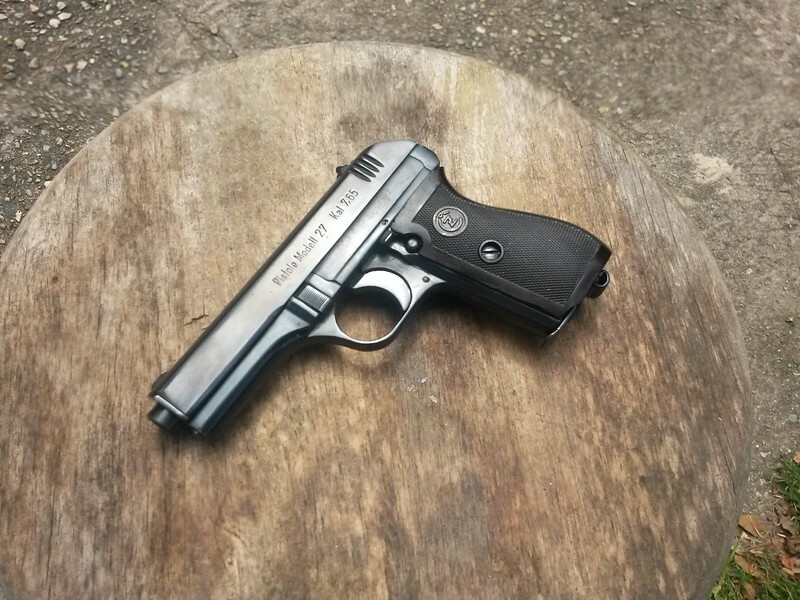 I've always wanted to find a nice CZ27 - they've become somewhat pricey these days. Can a $300 pistol be worth putting several times that in custom work? I guess that's up to the individual but this individual thought so and so did I..... I really like the CZ 83, especially in 9mm MAK. It's very large for its caliber but that's what some people need. or maybe it's all they have or all they can afford. Under those circumstances I'll take it in ( MAK over .380, might as well have the slight edge in ft. lbs and ammo affordability. Grips and leather, we thought it would be apropos to get them form Eastern Europe. Finish is Tungsten DLC over WMD's Nickel Boron. Fwiw Patriot Arms in Ipswich, MA (has website) has a cut-away model of a CZ like a few have shown here. Thinking the -82 model, but I couldnbe wrong. Was < $300 IIRC.